In 2006 2 male cubs were born to a tigress at Ranthambhore. 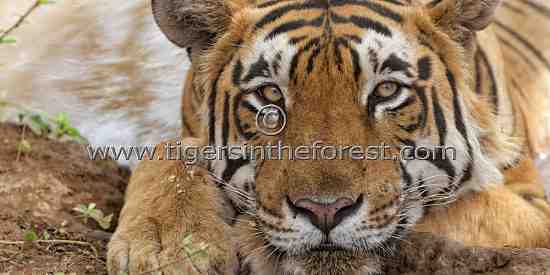 The cubs became known as T29 and T28 also later known as the 'Star' male due to the star shaped marking above his eyes. Over subsequent years T28 became the dominant male tiger of the prime lakes area of the park while sadly his brother was seriously injured in another area of the park and eventually disappeared presumed dead. On the 10th March 2018 the 'Star' male tiger died after having been tranquised in an effort to remove him from a field close to a village where an angry mob was creating havoc. 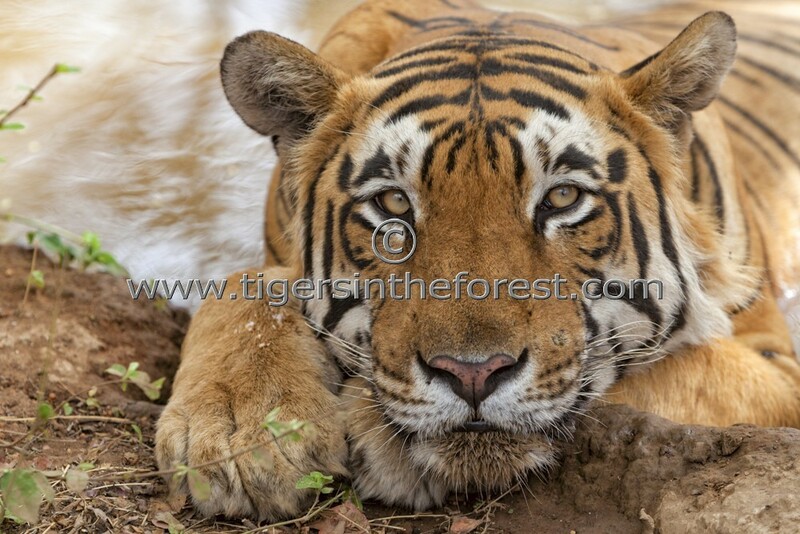 I took the picture of this magnificent tiger in May 2011 while he relaxed at a water hole. He will be greatly missed by all those visiting Ranthambhore.